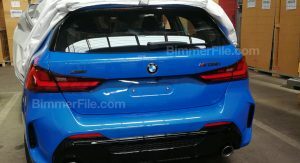 This is our first unofficial look on the upcoming BMW 1-Series, here in top M135i guise, thanks to a set of images posted by Bimmerfile. 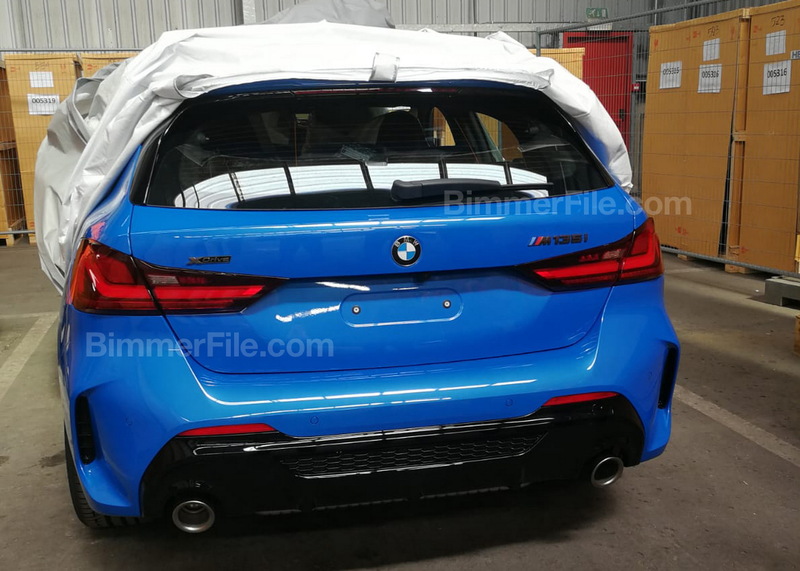 The two images reveal what looks like a final production example of the BMW M135i xDrive resting under a cover that was lifted to reveal both ends of the bodywork. 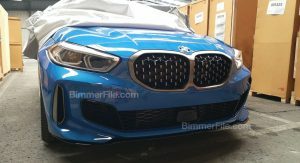 The front fascia of the new baby Bimmer features a more pronounced version of the brand’s kidney grille finished in satin aluminum that probably is reserved for the M135i. 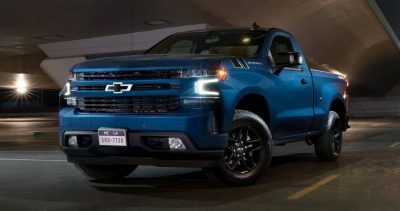 The bumper follows suit with two vertical air intakes on the sides and an aggressive black chin spoiler underneath the lower grille. 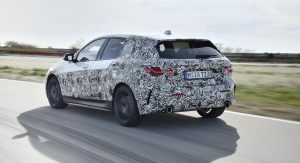 Looking at the rear we can see that the whole arrangement looks the same with every camouflaged test car we’ve seen so far; a set of slim taillights makes the new 1-Series almost angry from behind, especially when its combined with the M135i-specific rear bumper that incorporates a two-tone finish, dual exhausts and prominent side air outlets -which are probably fake. 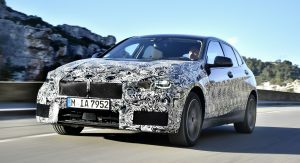 Unless you were living under a rock, by now you’ll probably have heard that the new 1-Series will be the first one of its name to be based on a front-driven platform, namely BMW’s FAAR architecture. 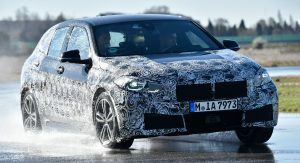 However, the M135i xDrive you see in the pictures will employ a model-specific version of the company’s all-wheel drive system, together with their new turbocharged 2.0-liter four-cylinder engine. The specific TwinPower Turbo engine made its debut at the 2019 X2 M35i, producing 302hp (306PS) and 333lb-ft (450Nm) of torque, figures that we expect to see repeated here in the M135i xDrive. 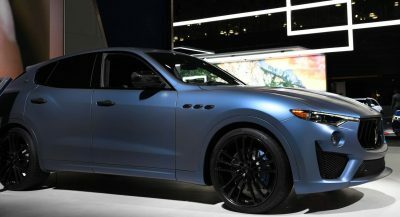 An eight-speed automatic transmission is also expected to be the only option while the chassis will feature a limited-slip differential on the front axle. Another highlight of the new 1-Series will be the ARB traction control system that debuted in the i3S. 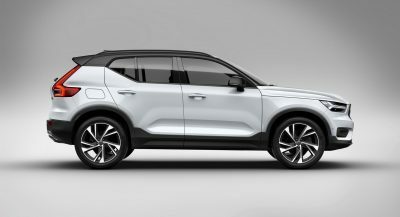 The ARB (actuator contiguous wheel slip limitation) system features its controller directly on the engine, enabling it to act 10 times faster than a traditional traction control system and be more accurate with its interventions. 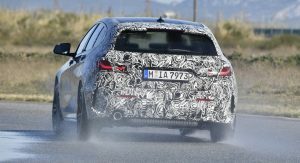 This technology, which will be standard fit to all 1-Series models, also works together with the vehicle’s stability control and the new BMW Performance Control, with the combination allegedly making the new M135i a much better drive than the outgoing -and more powerful- six-cylinder M140i. 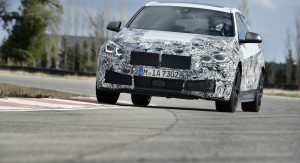 BMW is expected to launch the new 1-Series in Europe towards the end of the year, with the model’s public debut rumored for the Frankfurt Motor Show in September. 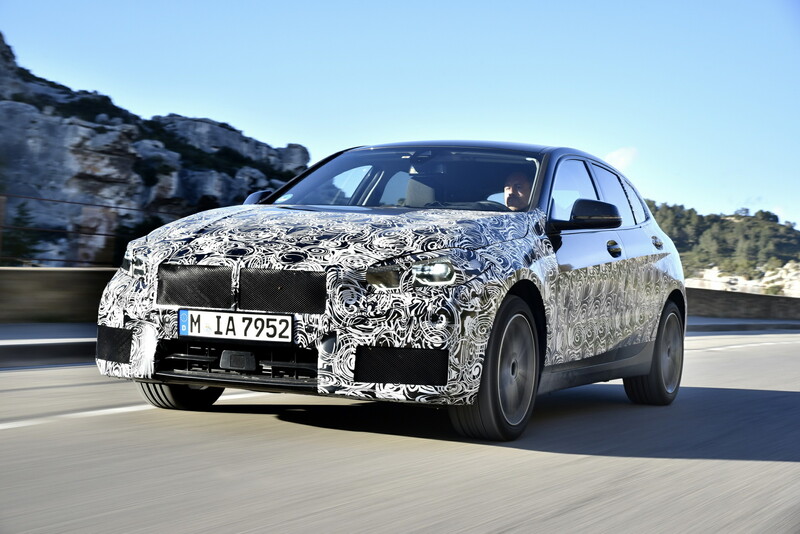 Will BMW wait until then to take the covers off its new baby? Stay tuned. It’s a hatch, and it’s supposed to be a hot one. But I see what makes you think that. BMW has a serious leaking issue. Exactly what I was gonna say. BMW seems to be copying Lexus a lot with their rear designs. 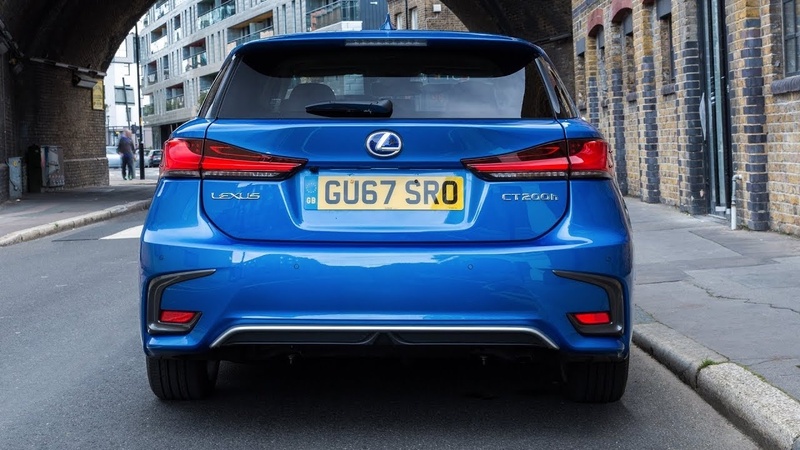 I mean Lexus rear designs are pretty nice, but BMW could at least be original. 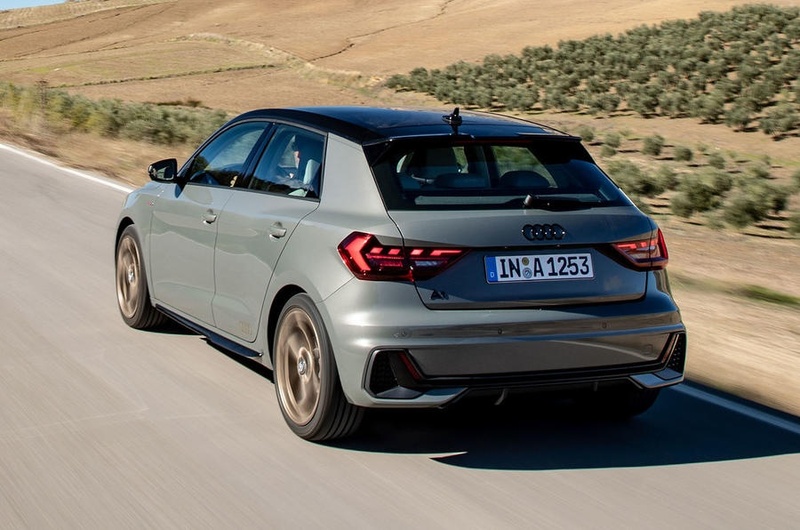 It also looks a lot like the new Audi A1. 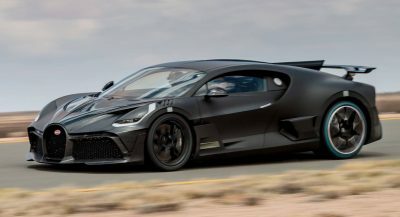 I’m a current BMW owner and I seriously can’t believe what they are doing on the newer designs. 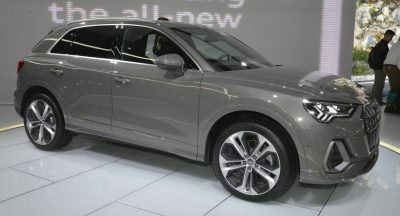 Boring, Lexus-like and just way off brand. Like the new Focus, they somehow ruined the front and improved the rear. Previous PostPrevious VW Golf GTI TCR Vs. Hyundai i30 N Performance: Which One’s Faster On Track?